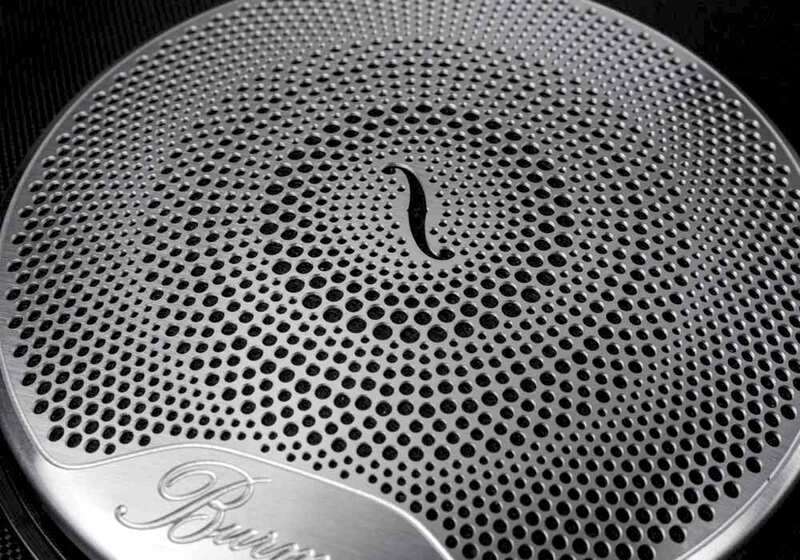 Metal speaker grilles were once produced exclusively from thick, woven aluminium wire. Photo etching offers a number of aesthetic and functional advantages. 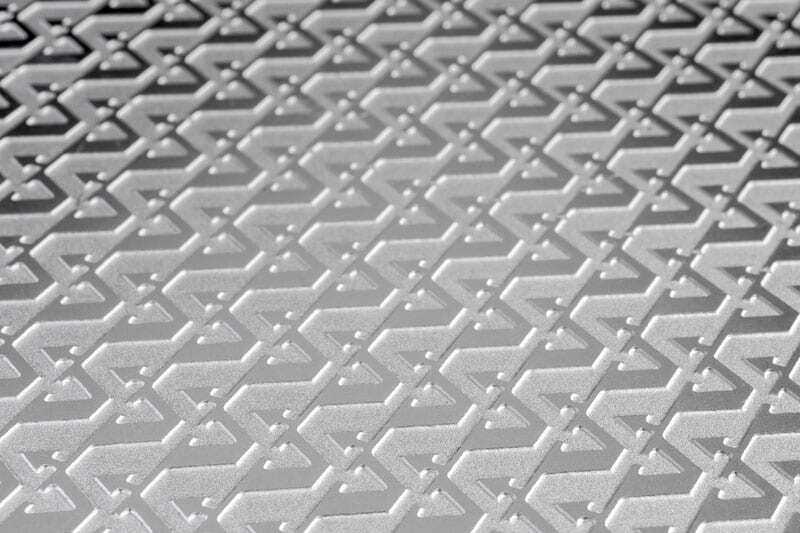 Unlike traditional pressed tread plates, photo etching can incorporate sharp aperture and directional mesh patterns for back lighting and can be personalised with owners’ names or signatures. Photo etching can be used to surface engrave and emboss intricate, blemish-free tactile surfaces. 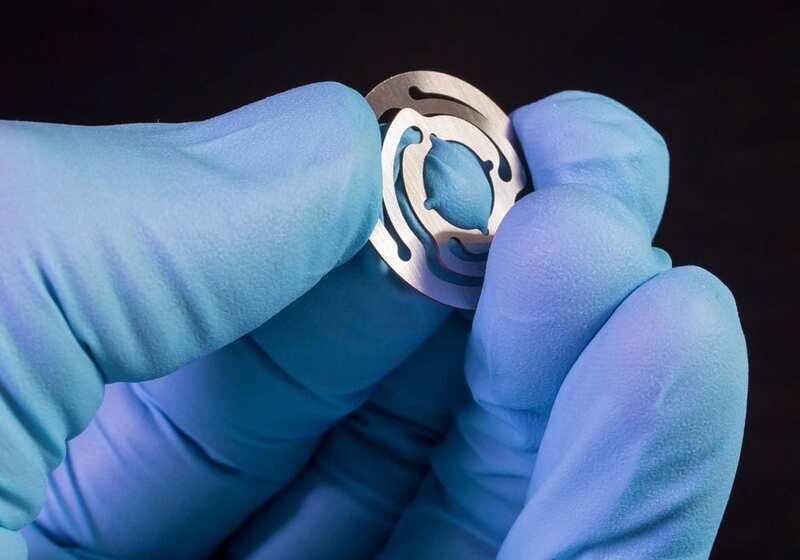 The burr- and stress-free nature of photo etching means springs actuate longer and more reliably which is vital in safety critical and exacting environments such as in GDI systems.  Precision Micro supplies over one million automotive springs each month for a diverse range of applications, including ABS braking, fuel injection and catalytic convertors. 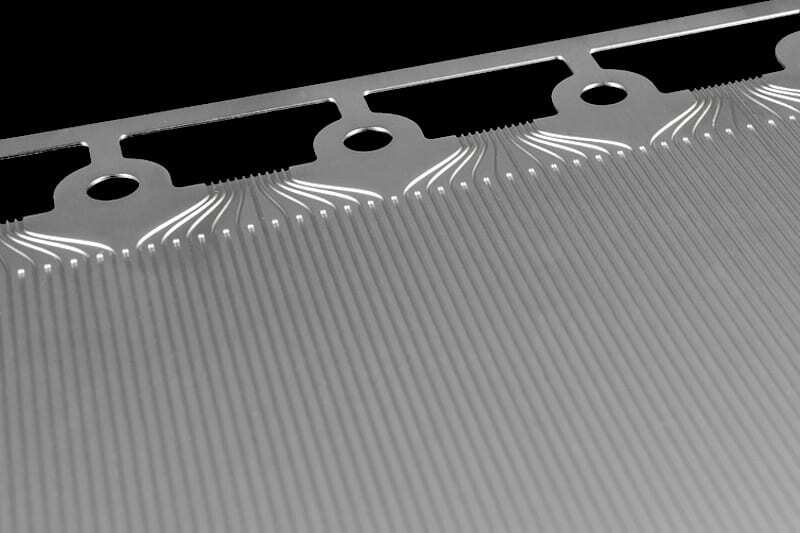 Precision Micro has long-standing partnerships with a number of leading alternative energy providers who benefit from economic, accurate, burr- and stress-free photo etched fuel cell plates. 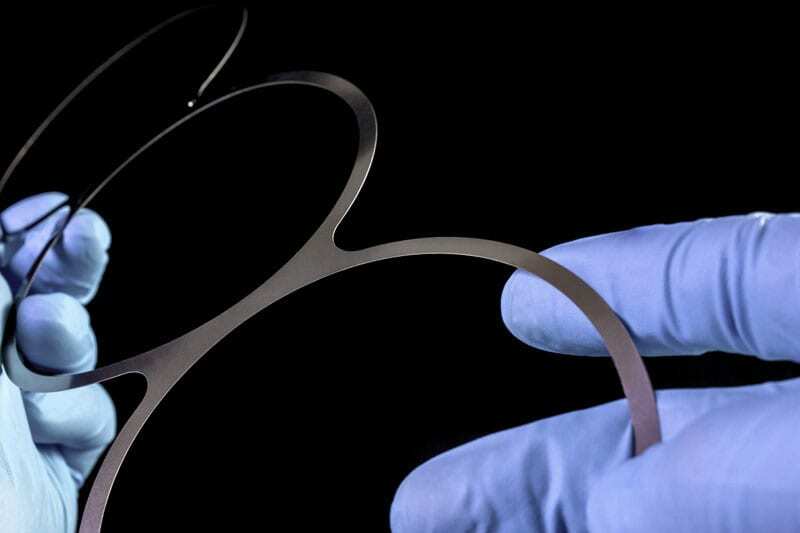 Photo etched shims, gaskets and washers are accurate to ±0.025mm, flat and burr-free, with no rough edges that could interfere with other mating components. As one of the largest photo etching companies in the world, Precision Micro has the depth of resource and experience to meet the world-class levels of product quality, productivity, competitiveness and continuous improvement expected by the automotive sector. Precision Micro is the UK’s only IATF 16949-accredited photo etching supplier. The automotive benchmark for quality management, this proves the stability and capable of our processes. We remain one of the few reputable production etching suppliers to the sector. Precision Micro manufactures a wide range of automotive components, from stress-free, safety-critical ABS braking and fuel injection flexures, which feature in many small petrol and diesel engine road cars, to high-end speaker grilles for luxury and premium vehicle marques. We are at the forefront of zero-emission vehicle technology, photo etching bipolar fuel cell plates for next generation cars, taxis and public transport. Precision Micro operates a CQI (continuous quality improvement) programme, working closely with our customers to satisfy all phases of their APQP requirements through FMEA, SPC, MSA and PPAP. 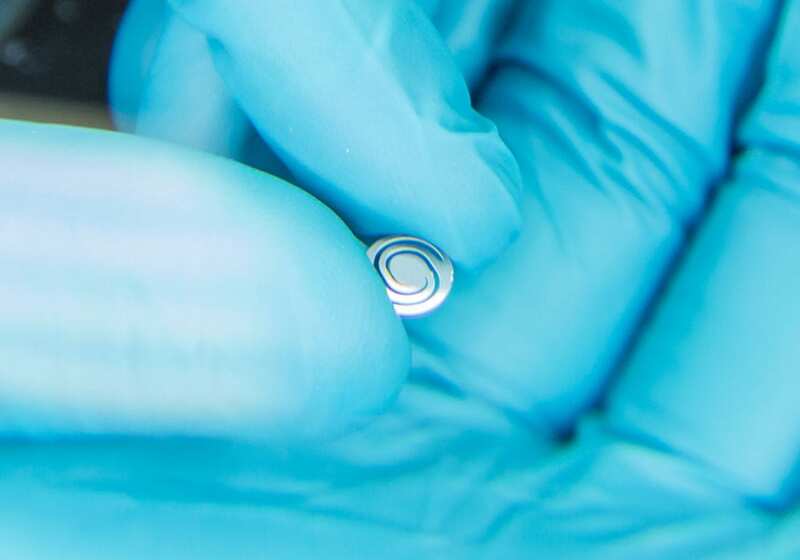 We maintain repeatability levels approaching Six Sigma standards, supported by a best-in-class in-house metrology facility covering material hardness and mechanical properties, surface roughness measurement, materials analysis and dimensional accuracy measurement. 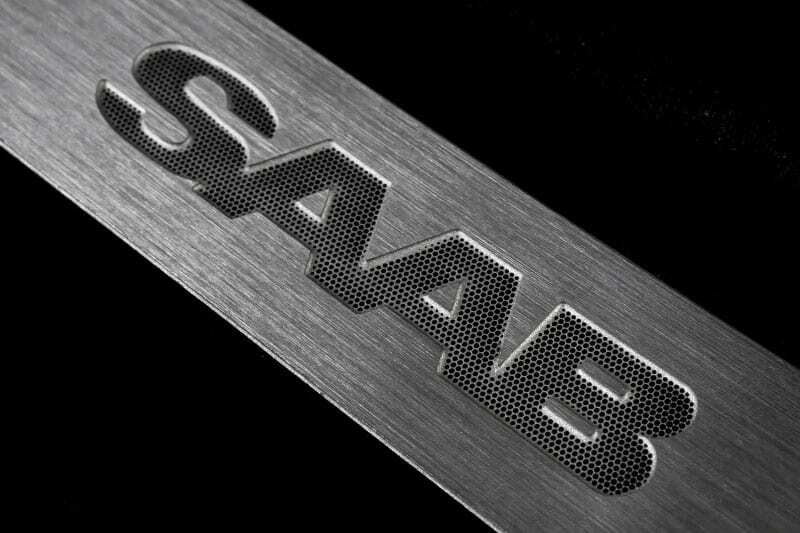 Precision Micro etches 100 tonnes of raw material each year, manufacturing over 20 million precision components for the automotive industry. We specialise in working with Sandvik spring steels and Inconel and produce unrivalled quantities of 300 and 400 series sheet stainless steel. Backed by Lloyds Development Capital, Precision Micro reacts quickly to increased customer demand, investing in new and additional manufacturing lines and working with its technology partners to streamline manufacturing and reduce cost.